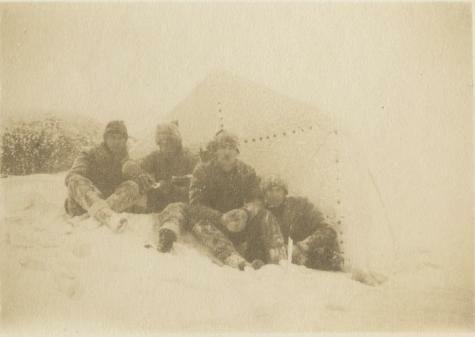 Four men seated in the snow, outside their tent. The group is camping near the summit of Whiteface Mountain, in the Adirondack Mountains. Source: Adirondack Museum Library, Saranac Lake Photograph collection, MS 81-16, box 3, folder 2.